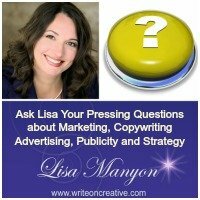 «Ask Lisa: What is Legacy? I believe that we are each called forth to do great healing work in the world via our respective gifts. And although many of us may not see ourselves as working in the healing modalities, the truth is when you are making a true difference, you are helping, and healing. One of the reasons I’m fired up about legacy is that not everyone out there is on the same page. I’d like to see that change so that we all do our part to heal the broken threads of humanity to strengthen the tapestry for a better world. A true desire to make a difference and a commitment to taking action is a commonality of the mission-driven people and businesses that I platy with. I am continually blown away by how many “gurus” and “experts” (notice the air quotes) are only sharing parts of the marketing puzzle and/or selling products and services that don’t deliver. Not a lot of people are talking about this openly but I can tell you that many of my clients have experienced scenarios like these before we’ve played together. high-end sales training that uses manipulative tactics that turn off prospect and leave the client confused, out of funds and wondering who the heck to trust. While I know not all of these instances are intentionally manipulative scenarios, the fact still remains that the people who are only offering partial services or making promises just to make the sale, are not following through in the best interest of the client. That’s why I’m so passionate about integrity. I’m constantly blown away by the scenarios people share with me. It’s just not right. This is why I’m dedicated to breaking the trance, challenging the status quo and engaging critical thinking by teaching my simple framework to create marketing messages with integrity with an emphasis on PASSION points not pain points. Here’s how I realized that and what I’m personally doing about it. This legacy kick really started gaining momentum when I had a speaking gig at the local Rogue Valley Business Resource Forum to a group of local businesses that were not necessarily familiar with me and my body of work. I created a presentation slide with an overview of my work, philosophies, and places where I’d been seen and heard to give some context (I typically don’t do presentations with slides so this was a GOOD exercise for me). THIS stack of books triggered something in me. 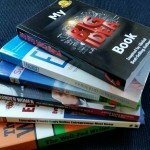 When I shared with the group I was presenting to that I’m featured in 6 #1 Bestselling books. Three of these books are #1 International Bestsellers and specifically highlight my philosophies and the “Challenge. Solution. Invitation.” framework to create marketing messages with integrity with an emphasis on PASSION points not pain points — I had a GIANT AH-HA moment and I called myself out — on the spot — on the stage– with a firm commitment to write MY book. It was at that moment that my legacy anchored in and I became passionate about not only finishing my book (my legacy) which will be done in the New Year, I also became passionate about empowering others to look deeply at your legacy and the leader you need to be to to carryout your legacy. My question to YOU is, what is your legacy and what is it going to take to hold you accountable for getting it done? What is YOUR #legacy? What are YOU doing to anchor it in? I have a firm commitment to supporting my clients in reaching their individualized goals based on custom plans and strategy that are not cookie cutter or paint by numbers. And, best of all I help my clients get results. 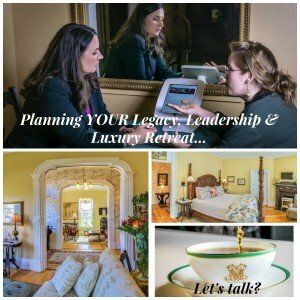 Thinking about lasting impact inspred me to offer Legacy, Leadership and Luxury Retreats. In fact, the retreat was born out of my inspiration to get my book done, create my legacy and make a bigger impact as a leader who teaches by example. You might also enjoy this article – The TRUTH about Integrity (I think it will spark some things for you). What do you need to anchor in your legacy and make a bigger impact? Leave your comments and replies here and I’ll respond. Want to know more about my legacy? Grab your complimentary Copywriting Action Plan to discover ways you can create marketing messages with integrity with an emphasis on PASSION points not pain points. This entry was posted in Content Strategy, Copywriting, Manyon's Musings, Marketing Strategy	on Monday	February 11, 2017 at 6:40 pm. You can follow any responses to this entry through the RSS2.0 feed. You can also leave a response. Thank you so much Lisa for this encouraging post. I love the idea of leaving a legacy, and working towards healing the broken parts of humanity! I am inspired b your work and mission. I truly believe that we are each here to do our part in making a positive impact on our plant and our world. I know it makes some feel uncomfortable when I say we are each healing the broken threads of humanity in our respective areas of work AND I think people need to feel uncomfortable to be moved to action. I believe we are in the Collaboration Economy where people are the true currency and we must embrace that with our actions. What is your legacy? What impact do you want to leave on the world? So true about how the “gurus” charge a lot and don’t cover everything. When we put our academies together that was one thing I wanted to be sure we included. I want people to have all that they need. Once I am able to move on to another project, I want to be able to leave a legacy to help struggling single moms. Having been there and understanding their plight, I would love to help as many as I can. Lisa! I really, really appreciate this article. I am running a Leadership Legacy Challenge this week and we are talking about these important things. Leaving a legacy beyond myself is paramount for ME because, as I was going through the 4th bout of cancer, I CHOSE life and, in doing so, I knew, felt, and believed that my vison and mission was bigger than ‘cancer’. I didn’t want to be defined by it. I am choosing my legacy; as we all are… every single day – with every single action.